Because of the length of time they have been trading, they have built up a great rapport with all their manufacturers and can therefore offer unbeatable prices. 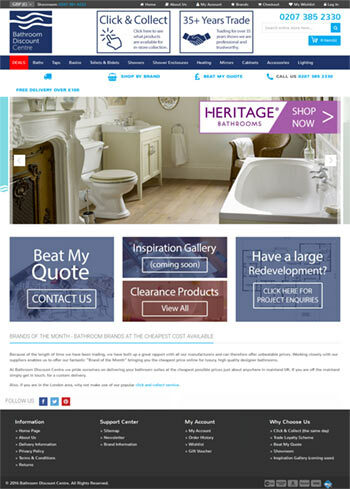 Working closely with their suppliers enables them to offer their fantastic "Brand of the Month" bringing you the cheapest price online for luxury, high quality designer bathrooms. At Bathroom Discount Centre they pride themselves on delivering your bathroom suites at the cheapest possible prices just about anywhere in mainland UK. If you are off the mainland simply get in touch, for a custom delivery.